They don't call the Sunbird the Funbird for nothing. Unless nothing is human Jenga on the patio, cozy fire pits, a sandbar with beachballs for the kids, live music every weekend, beer pong tournaments, Kill the Keg parties, rattlesnake fritters, 12 TVs with NFL and MLB tickets, our signature hand-crafted mason jar cocktails, unparalleled views of Colorado Springs and being able to watch bears straight from our patio. Yeah, there's something for everyone at Sunbird. 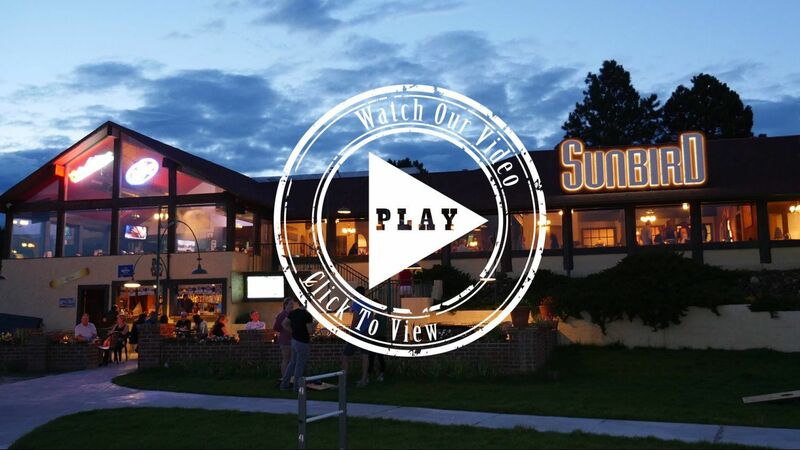 On top of Rattlesnake Hill with panoramic views of Pikes Peak, Cheyenne Mountain and Downtown Colorado Springs, family-owned Sunbird Mountain Grill & Tavern has been bringing country western flair, good times and great food to the people of Colorado Springs for over 40 years. Founder David Tallichet fell in love with Colorado Springs all those years ago. He bought a home here and dreamed of opening up a restaurant with the best views in all of Colorado Springs. That's how Sunbird was born. Our menu puts a country western spin on American classics and incorporates local wildlife for a true taste of Colorado. We offer several banquet rooms and event spaces for any occasion, with tremendous views and a talented events team to match. Join us for Happy Hour Monday-Friday from 4-7 p.m. And don't miss our Sunday brunch – awarded "Best Brunch" by the Gazette, The Independent and Open Table Diner's Choice Top Ten – every Sunday from 9:30 a.m.-1:30 p.m.